Japan is the incredible country, full of wonders. Culture and heritage are very important here, but so are the significant annual events that are fun and exciting. Though hundreds of small festivals and events take place across the country throughout the year, there are a few must-attend happenings in Japan that you really shouldn’t miss. When you are relocating to another country, you should learn the customs and the lifestyle of its residents. It is crucial to prepare for moving internationally by exploring the culture and tradition of the place that you will call your home. While Japan has many interesting music and art events, world famous exhibitions and abundant entertainment options, the special attention is on the “matsuri” – festivals. Most festivals are held annually and celebrate the shrine’s deity or a seasonal or historical event. There are countless local festivals because almost every shrine celebrates one of its own. Some matsuri last for several days. The most important element of Japanese festivals is processions. During this part of the event, the local shrine’s kami is carried through the town in palanquins. That is the only time of the year when kami leaves the shrine to be shown around town. Many festivals include decorated floats or “dashi”, are pulled through the town. The drum and flute music are always following the passing of the dashi. An interesting thing about Japanese festivals is that they are totally different one from another. Some festivals are calm and meditative, while many are energetic and noisy. They are all fun, exciting and very visually impressive. At least one of the Japanese matsuri should be on your list of must-attend happenings in Japan. If you can’t wait to explore the must-attend happenings in Japan, your relocation shouldn’t be exhausting. In order to have the energy for the fun activities after your move, it is the best advise to hire international moving company Japan. The professional movers will relocate your home to Japan without stress and struggle, so you can dive in into the thrilling world of the Japanese entertainment as soon as you unpack. This is one of the largest festivals in Tokyo, that lasts for three days. Every year on the third Friday, Saturday, and Sunday in May almost 1,500,000 people come to this event. If you want to see people carrying portable shrines, Sanja Matsuri is one of the must-attend happenings in Japan. The main mikoshi of Asakusa Shrine is carried through the streets of Asakusa, accompanied by the hundred other portable shrines that are carried along with it. Sanja Matsuri is a great choice for anyone that enjoy historical festivals. One of the largest festivals in Japan is the Gion festival in Kyoto. It lasts for a whole month starting in early July. During this period, people from all over the world are joining in the celebrations. 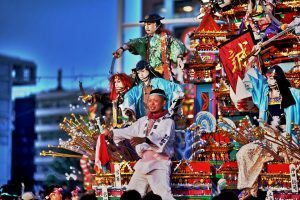 Parade of this matsuri consists of 33 festival floats with different themes. Each float is representing some feature from the Japanese traditions and legends. Daytime festivities are very entertaining, but the real fun gets after dark. The lanterns on the floats are turning the festival into a beautiful sea of lights. This event with the traditional themes will take you back in time since its transforming the city in the site from the historical eras that have marked Japan culture. Annual Gion festival is certainly one of the must-attend happenings in Japan. Kanamara Matsuri is an annual festival that takes place in Kawasaki, in April. This festival is on the naughty side since this it has a worldwide fame as the “phallus festival”. The name comes from the unusual portable shrines, with the shape of the man private parts. It goes with the theme since this festival is celebrating fertility and gender plurality. Still, it is a very surprising event for any newcomer in Japan. The Kanamara Festival begins at the Kanayama Shrine. People gather here to pray for prosperity, fertility and good luck in relationships. The main idea of the festival is that everyone should enjoy a celebration in the daylight no matter what illness, status or sexual orientation they have. For this reason, this festival is also very important and popular with the LGBT community in Japan. Since Japanese work culture is very rigid, and don’t expect such open admiration and visualization for the private parts. This is one of the many contrasts that this country has. While residents of Japan work hard, they also party hard, and this festival is a good demonstration of that. The quirkiness of this celebration of fertility is the reason why this is one of the most fun must-attend happenings in Japan. While the most famous festivals are held in Japan during the warm spring and summer months, the fun doesn’t stop when it gets colder. The Sapporo Snow Festival takes place every year in February. It lasts for about a week, and this festival is the main reason why many people from all over Japan visit Sapporo during this time. 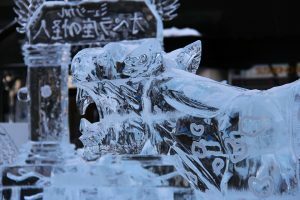 At this event, you can see the amazing ice sculptures that are showing the famous sights from all over the world as well as movies and mangas. The illumination of the ice sculptures in the evening makes them even more magical. New technologies and visual effects are implementing into the festival every year, which makes sculptures really come to life at night. 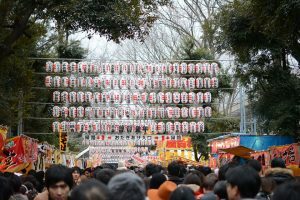 How to prepare for the festivals in Japan? The newcomers and foreign expats are very welcome in the Japanese celebrations. As long as they are behaving properly. If you are visiting one of the must-attend happenings in Japan that have a traditional feeling, you shouldn’t stand out from the mass. You can observe the parades, enjoy the music and taste the delicious Japanese cuisine that is an inevitable part of any event. Follow what the locals do, but don’t try to participate in the religious and traditional rituals. When it comes to more casual festivals, you can dance and have fun just like the locals do. Let the atmosphere and the music consume you and be festive in the way that you like. Just don’t cross the lines of good behavior, since that can be very offensive. Not just in Japan, but in any country.